Institute of Chemistry, University of the Philippines, Diliman, Quezon City-1101, PHILIPPINES. Solvent fractions and decoction of Eleusine indica leaves were tested for their ability to inhibit angiotensin-converting enzyme (ACE), an important component of the Renin-Angiotensin-Aldosterone System which is a critical regulator of arterial blood pressure. The ACE inhibitory activity of each fraction was measured by employing a colorimetric assay based on the hydrolysis of histidyl-hippuryl-leucine (HHL) by ACE. Preliminary assay results revealed that the ethyl acetate fraction exhibited the highest antihypertensive activity with a percent inhibition of 51.51%. This fraction was considered for further isolation using a bioassay-guided fractionation scheme. One of the biggest single risk factor of deaths worldwide is hypertension. Globally, cardiovascular diseases account for about 17 million deaths a year; 9.4 million of which are accounted to hypertension according to the World Health Organization.1 The World Health Organization also reported that the continuous increase of prevalence of hypertension is attributed to population growth, ageing and behavioral risk factors like unhealthy diet, physical inactivity, excessive salt and alcohol intake, persistent stress and excess weight. The Renin-Angiotensin-Aldosterone System (RAAS) which serves as one of the most powerful regulators of arterial blood pressure has become a major focus on the hunt for targets of hypertension alleviation.5 Regulation of blood pressure by RAAS is via angiotensin release and body electrolyte content via aldosterone release.6 One component of the RAAS is the hydrolase, Angiotensin-Converting Enzyme (ACE), is responsible for converting angiotensin I to angiotensin II, a known potent vasoconstrictor. Angiotensin II stimulates both the synthesis and release of aldosterone from the adrenal cortex resulting to an increase in blood pressure via sodium retention.7 Thus, the concept of inhibiting ACE became a popular and effective therapeutic approach in treating hypertension and other cardiovascular diseases. An abundantly available plant is Eleusine indica Linn. Gaerth. or Indian goosegrass has been reportedly used as a natural diuretic. E. indica is a member of the Poaceae family.11 It is a native plant in tropical and subtropical regions like the Philippines and is adventitious and invasive.12 The plant can grow up to 1 meter. The stem is usually white or pale green and is laterally flattened with a few strands of “grainy hair” on the edges. The leaf sheaths are also laterally flattened and its leaf blades are flat or folded and linear-lancoelate. This plant has been commonly used in the folkloric medicines among South East Asian and African countries. The decoction from its leaves is used to treat asthma, muscle pains, febrifuge, diarrhea, and dysentery. In Nigeria, it is used to treat diabetes and malaria. In other countries, it is used to treat bladder disorders, convulsions and childbirth aid.12 The whole plant is usually used as diuretic, laxative, and depurative which makes it useful for the treatment of influenza, hypertension, and oliguria.12 The antioxidant, antibacterial, antifungal, antiplasmoidal, anti-cancer, and anti-inflammatory activities of E. indica has already been studied. The main focus of this study is to investigate and evaluate the anti-hypertensive effect of E. indica via ACE inhibition. The plant material E. indica was collected from the University of the Philippines Diliman campus. The sample was authenticated and verified at the Dr. Jose Vera Santos Herbarium of the Institute of Biology of University of the Philippines Diliman where a voucher specimen was deposited. Leaves of E. indica were washed and air-dried for at least 72h. Thereafter, it was homogenized and was soaked in distilled methanol for three days and filtered. The filtrate was concentrated in vacuo utilizing a rotary evaporator at 85-95 rpm and 40°C. The concentrated filtrate was then collected, weighed and stored in Corning tubes. 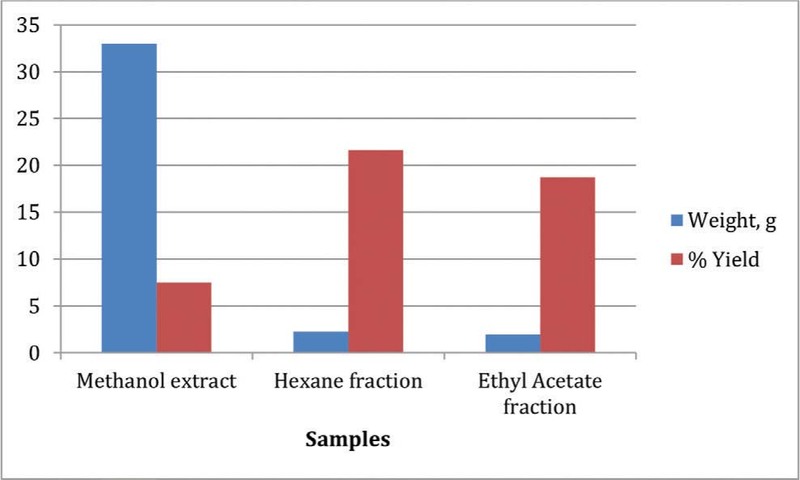 About 30.0 g of crude methanolic extract were partitioned using hexane, ethyl acetate, and water to obtain their respective fractions. The resulting extracts were concentrated in vacuo using a rotary evaporator. About 100 g of E. indica leaves were homogenized and soaked in deionized water. This heterogeneous mixture was then heated to medium to boiling temperature for about 2-3h. The mixture was simmered for 30 min. Then, the mixture was removed from heat and was allowed to cool slightly. The resulting decoction was subjected to in vitro ACE assay. The cleavage of the substrate hippuryl-histidyl-leucine (HHL) by ACE mixed with pyridine and benzene sulfonyl chloride to produce hippuric acid (HA) and histidyl-leucine (HL) was based on the method developed by Jimsheena and Gowda.13 The therapeutic drug captopril was used as the positive control. The assay mixture was composed of 35 μL of 0.05 M sodium borate buffer (pH 8.2) containing 0.3 M NaCl, 35 μL 500 μg/mL of plant extracts, 20 μL of 5 mM HHL, and 10 μL of ACE enzyme extract from rabbit lung (Sigma A6678). The first step of the method is a 10 min pre-incubation step at 37°C to establish contact between the inhibitor and ACE. After the pre-incubation step, 20 μL of 5 mM HHL was added to each to initiate ACE reaction. Then, the mixtures were incubated at 37°C for 30 min. The reaction was arrested by adding 50μL of 1 M HCl. This was immediately followed by the addition of 100 μL pyridine and 50 μL benzenesulfonyl chloride (BSC) to develop the yellow color. Then the absorbance was measured at 410 nm using a microplate reader. The crude fraction with the highest percent inhibition was subjected to vacuum liquid chromatography (VLC). A short column was dry-packed with 70.0 g of silica using suction and manual pressing to make a sorbent bed (bed volume of 150 mL) onto which the sample, preadsorbed in silica, was added. Then the column was pre-treated with 300-mL hexane under light suction. Thereafter, the column was successively eluted with a series of solvents consisting of hexane, hexane combined with increasing amounts of ethyl acetate in 10% increment, ethyl acetate, ethyl acetate combined with methanol (1:1), and methanol. Methanol was used to wash all remaining samples from the column. The fractions were collected in numbered Erlenmeyer flasks. Then the solvents from each fraction were removed by concentrating the fractions in vacuo using a rotary evaporator. The dried fractions obtained using VLC were subjected to in vitro ACE assay. Lastly, the IC50 value of the VLC fraction with the highest percent inhibition was determined. 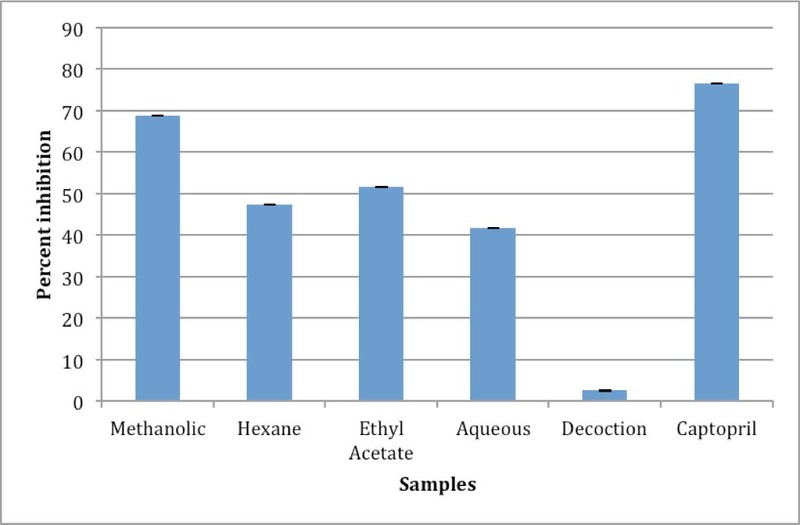 Samples with similar thin-layer chromatography profiles were pooled. T-test was used to determine if there was a statistically significant difference between means of treatments. Q-test was employed to reduce the number of replicates from 4 to 3. Data were expressed as means ±S.D. Differences were evaluated using one-way analysis of variance (ANOVA) test completed by a Dunnett’s multicomparison test. This study investigated the potential of E. indica as a new source of compounds against ACE. About 440.0 g of E. indica leaves were used to obtain a crude methanolic fraction. The resulting crude methanolic fraction was subsequently partitioned using hexane, ethyl acetate, and water. The percent yields of the different crude fractions are listed in Figure 1. The crude fractions with the aqueous fraction and decoction out from the leaves of E. indica were subjected to ACE inhibition assay. Figure 2 shows the percent inhibition of the various fractions. Elbl and Wagner developed one of the earliest assays for ACE inhibition, stated that an extract is considered active if it is able to inhibit the enzyme by more than 50%.14 These extracts should therefore be considered for further isolation and purification. Results showed pronounced activities for both methanolic and ethyl acetate fractions with percent inhibition of 68.84% and 51.51% respectively. These activities are comparable with the activity of the positive control, captopril, which has a percent inhibition of 76.64%. Ideally, if the methanolic fraction is found to have good activity, the hexane and ethyl acetate extracts should produce better activity. However, there was an observed decrease in activity for both hexane and ethyl acetate extracts as shown in the results. This could be explained by synergistic effects, a phenomenon in which activity is lost in purified fractions.14 Optimization of test compound concentration may produce better results for both hexane and ethyl acetate fractions. About 2.3 g of ethyl acetate extract was purified using VLC and the fractions were dried in vacuo using a rotary evaporator. The fractions were again evaluated using ACE assay to determine which fraction contains the highest inhibitory activity and the results are shown in Figure 3. ACE inhibitory activity of E. indica samples. Percent Inhibition of VLC Fractions. Dose response curve of Fraction 8. The fraction to be considered for further isolation as determined by the ACE inhibition assay was Fraction 8 with a percent inhibition of 97.34%. 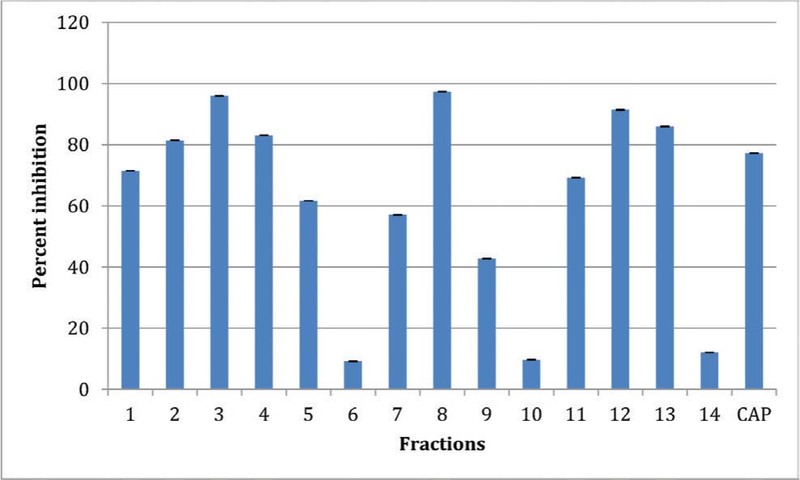 Other fractions with % inhibition ≥ 50% and were considered active are the following: Fraction 1 (71.47%), Fraction 2 (81.42%), Fraction 3 (95.97%), Fraction 4 (83.06%), Fraction 5 (61.62%), Fraction 7 (57.10%), Fraction 11 (69.23%), Fraction 12 (91.40%), and Fraction 13 (85.96%). The IC50 value of this Fraction 8 was determined by doing another ACE assay but with varied concentrations of Fraction 8. A plot of percent inhibition against concentrations of 8.33-108.33 μg/mL of Fraction 8 was created. Linear regression was performed and its linear equation has an R2 = 0.940. Its logarithmic equation, on the other hand, has an R2 = 0.992. It was found that the IC50 value of Fraction 8 is approximately 32 μg/mL. 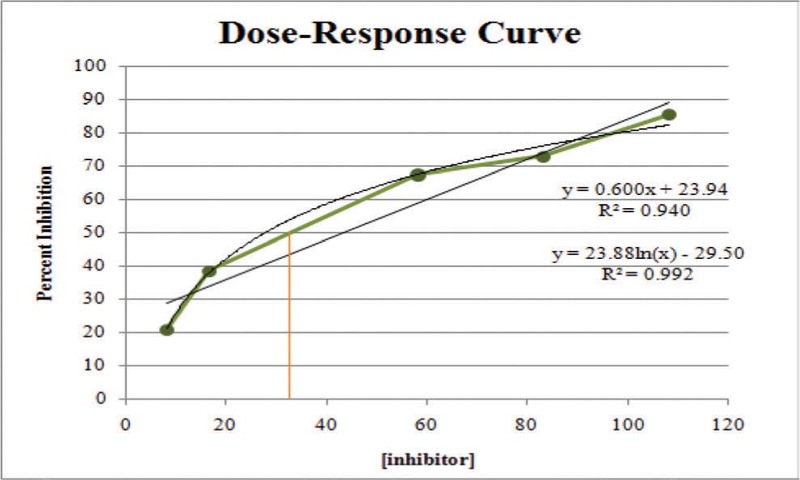 The dose-response curve is shown in Figure 4. Some of the secondary metabolites that could be responsible for the observed in vitro ACE inhibitory activity are triterpenes, flavonoids, proanthocyanidins, and hydrolysable tannins.17 The results of the phytochemical screening in a study by Okokon et al.18 revealed the presence of alkaloids, terpenes, flavonoids, tannins, anthraquinones, saponins, and cardiac glycosides in E. indica extract. The preliminary evaluation of the crude extracts and fractions of E. indica showed that the plant is a potential source of bioactive compounds that can inhibit the activity of ACE. The ethyl acetate extract was found to have the highest ACE inhibitory activity. The anti-hypertensive activities of the different E. indica extracts and fractions observed in this study may have resulted from one of the mechanisms in inhibiting ACE activity as described above. Further purification studies will carried out to identify the bioactive compounds responsible for the observed activity. In vivo studies will also be done to further establish the anti-hypertensive effect of E. indica. Potential anti-hypertensive effect of Eleusine indica was evaluated using ACE-inhbitory assay. Results suggest the presence of the bioactive compounds in the ethyl acetate portion. Further purification and isolation are being carried out to identify the bioactive compound. Department of Science and Technology through the Philippine Council for Health Research and Development. 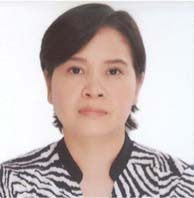 Christine L. Chichioco-Hernandez: Is an associate professor of the Institute of Chemistry, University of the Philippines Diliman, Quezon City working on the isolation and identification of bioactive compounds from terrestrial samples. 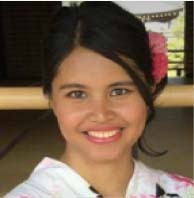 Jasmin T. Tutor: Is a graduate student and currently a science research specialist working at the Institute of Chemistry, University of the Philippines Diliman. World Health Organization. 2016;Cardiovascular diseases (CVDs). Retrieved. 2016 from WHO website http://www.who.int/mediacentre/factsheets/fs317/en/. Bavishi C, Bangalore S, Messerli FH , authors. Renin Angiotensin Aldosterone System Inhibitors in Hypertension: Is There Evidence for Benefit Independent of Blood Pressure Reduction? 2016;Retrieved. 2016 from Progress in Cardiovascular Diseases website http://www.onlinepcd.com/article/S0033-0620(16)30111-6/references. Al-Zubairi AS, Abdul AB, Abdelwahab SI, Peng CY, Mohan S, Elhassan MM , authors. Eleusine indica Possesses Antioxidant, Antibacterial, and Cytotoxic Properties. Evidence-based Complementary and Alternative Medicine. 2011;DOI: 10.1093/ecam/nep091. Retrieved on 26 October 2016 from NCBI website: https://www.ncbi.nlm.nih.gov/pmc/articles/PMC3137868/.